UKS is proud to have weekly and monthly challenge set by the three houses, teams and individual members of our community. The challenges have been running for many years and are greatly enjoyed by everyone. The challenges are diverse and often thought-provoking and they are the perfect thing to kick start a flagging mojo when you want to scrap but just need that little spark to get you started. This thread will contain the challenges from all of the weekly challenges from 2015 along with the monthly house challenges and is a resource for the whole community to use. Let's keep this thread just for information rather than chatting. The thread will be updated at teh end of each month, adding in the challenges that were set during that month. Enjoy this new resource and ... get scrapping! Last edited by scrapdolly; 19-02-2015 at 11:54 AM. Last edited by scrapdolly; 20-02-2015 at 03:08 PM. 1) I like the idea of monotone LOs .. just remember you can use any of the tones and shades of your chosen colour.Please make this strictly monotone .. NO neutrals, black or white. Of course, your photo/s must be predominately your chosen colour but can have others too. 2) Patterned papers are always a challenge .. so please use at least 3 on your LO. 3) Use ribbon/braid somewhere on your LO. Last edited by scrapdolly; 20-02-2015 at 03:09 PM. 1) Let's hear it for the girls! I have lots of males in my life - hubby, two male doggys, three small nephews, a brother, dad, father-in-law.... and often do male LO's so in the name of opposites let's do a LO for the women! Last edited by scrapdolly; 20-02-2015 at 03:10 PM. 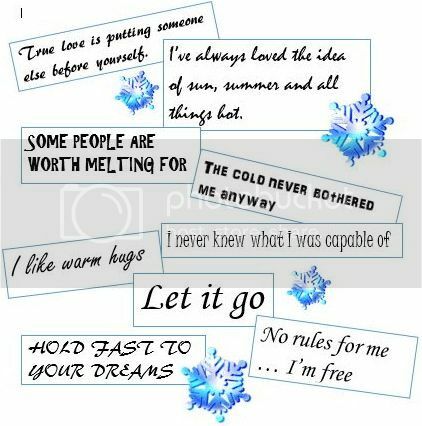 ... your word challenge this month is to use one of these quotations (or any other you might know) from the Frozen film as the inspiration for your page. Here we are in February, a dismal time of year. We'd like to cheer things up with a bright and happy challenge. The title of your page is 'Happiness is ...' so anything that makes you happy is your theme. We want the subject of your page to be a real feature so please use one large photograph. Last edited by scrapdolly; 20-02-2015 at 03:11 PM. Last edited by scrapdolly; 20-02-2015 at 03:12 PM. Staying with the 'big' theme let's go for bright and bold - make your main colour a primary colour. And finally I'd like to see stitching and buttons on your page. 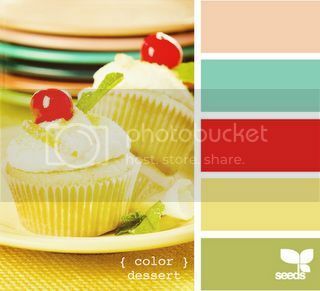 Welcome to the Green Buttons colour challenge... here is our colour palette. With most of the country being sprinkled in snow we have chosen a frosty palette for your use. This week is my darling daughter's birthday so I have taken my inspiration from the challenge from that. As it is her birthday the first part of the challenge is to scrap a birthday or another special occasion for 10 points. Her birthday is on the third day of the third month so for the second part of the challenge I would like you to include 3 lots of 3 things. These can be photos, papers, ink colours, embellishments, etc. As she was born in the 80's during the age of the new romantics I would like to include a piece of ribbon or trim or lace on your page for 10 points. and either make your layout dirty, or clean (10 points). 10 points for incorporating a map into your layout.